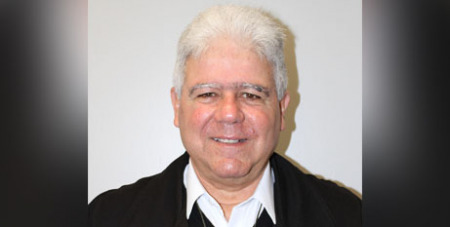 Pope Francis has appointed Fr Charles Gauci, currently administrator of St Francis Xavier’s Cathedral in Adelaide, the seventh Bishop of Darwin. Source: ACBC Media Blog. Australian Catholic Bishops Conference president Archbishop Mark Coleridge welcomed the appointment of a man who is known for his deep spirituality and commitment to evangelisation. “Fr Charles has ministered to people from many walks of life – as a pastor in parishes, a chaplain to schools, a spiritual director and retreat leader,” Archbishop Coleridge said. Fr Gauci was born into a faith-filled family in Malta and arrived in Australia as a 13-year-old. He was ordained for Adelaide in 1977 and has served in parishes across the archdiocese. He has also held a number of archdiocesan leadership roles, including as chairman of the Council of Priests. Fr Gauci said he was introduced to the life of the Diocese of Darwin and the faith of the community there when he was invited to lead a retreat for the priests of the diocese about three years ago. “I’m full of admiration for the work the priests in the diocese carry out, often in very isolated areas where there are none of the comforts and conveniences of suburban life,” he said. Fr Gauci said he hopes to visit the diocese – which takes in almost all of the Northern Territory – as soon as possible so he can meet the local people and speak with Bishop Eugene Hurley, who has served in Darwin for the past 11 years and as a bishop for almost 20 years. “Bishop Eugene is a great man; I’m humbled to succeed him. He will help me understand the diocese, its communities and ministries. With that knowledge and discerning what God is asking of me, I will seek to fulfil the task now entrusted to me,” he said. In announcing Bishop-elect Gauci’s appointment, Pope Francis also accepted Bishop Hurley’s resignation. Bishop Hurley will serve as Apostolic Administrator of the Diocese until Bishop-elect Gauci’s ordination, a date for which has not yet been confirmed.